101 Cookbooks - One of the most established food blogs, five years old and counting; this is the chronicle of a blogger with an overindulged habit of buying cookbooks. This Californian blog is primarily a conduit for savoury recipes, mostly vegetarian, and using natural foods - the most popular include caramelised tofu, black bean brownies and lemon-scented quinoa salad. It's technologically literate, too, with i-Phone compatible recipes, and there is a convenient index of recipes by ingredient, and by category (ie gluten-free, cookies, drinks etc). A Slice of Cherry Pie - Home cooking from the Home Counties [South East England]. Amateur Gourmet - Funny writing with a useful "how to" section. Artichoke: Best of British Food - Well written seasonal food posts and events. Baking Bites - Homemade cookies, muffins and much more. Becks & Posh - Becks and Posh is modern cockney for nosh. Follow English-Girl-Abroad, Sam Breach, on her culinary travels, mainly in the San Francisco Bay Area, but also further afield, whilst she plays at being amateur restaurant critic, wine taster, food photographer, cocktail connoisseur, party planner, good food forager and practising home cook, with trusted French advisor, Fred, by her side. Bill Addison - Restaurant editor at Eater. Bitten Word, The - A charming duo tackle recipes from a back-catalogue of food magazines. Bon Appétit - Recipes, cooking, entertaining, restaurants. Cafe Fernando - Turkish delights from Istanbul. Cannelle et Vanille - The recipes say it all: salted caramel ice-cream, roasted fig frozen mousse, lemon verbena with chamomile crème brulee. This visually stunning site was started by Spanish pastry chef Aran Goyoaga to satisfy her career-break cravings. Even a snacky peek explains its overnight success. Chez Pim - Not much of a foodie secret, blog celebrity and big-hitter Pim quit her Silicon Valley job in 2005 to pursue her foodie calling. Chocolate and Zucchini - Paris-based Clotilde Dusoulier has started a series on French food idioms, and her blog is full of Parisian gastronomic delights, with a book to accompany it, titled Edible Adventures in Paris. Chubby Hubby - Everything you need to know about Asian food can be found on this blog, where Singaporean-based author Aun Koh writes about street food, restaurants and recipes, with charming references to his partner in kitchen crime, his wife. Cook and Eat - Striking photography and a smooth to move-about layout. Cook's Cook, The - A magazine for cooks, food writers and recipe testers. Its Letters to the Editor, Cook's Blog, and Blog of the Week are updated every Tuesday. Cook's Illustrated - More than 1.3 million home cooks rely on Cook's Illustrated and Cook's Country magazines to provide trusted recipes that work, honest ratings of equipment and supermarket ingredients, and kitchen tips. Cooking - Cooking with The New York Times. Also see Cooking Guides page. Cooking Light - Find quick and healthy recipes, nutrition tips, entertaining menus, and fitness guides to help you make smart choices for a healthy lifestyle. Cooksister - South African recipes from a London-based expat. Cream Puffs in Venice - Italian influenced mainly sweet-toothed posts. David Lebovitz - Witty food reportage by the established cookbook author and ex-pastry chef David Lebovitz. Now based in Paris, he covers recipes, restaurants and interviews with other foodie heavyweights. Delicious Days - Authored by Munich-based Nicky Stich. Well-conceived, with an international flavour but healthy dose of German influence and easy to navigate sections including a food news feed. DD features the author's own recipes, as well as adaptations from other cookbooks. 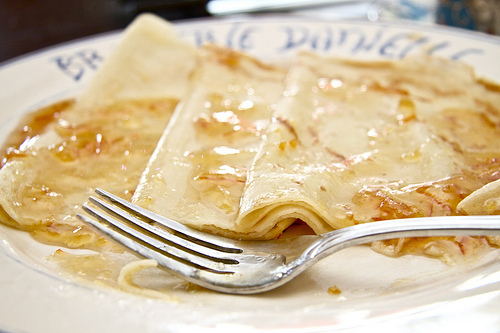 Diner's Journal (New York Times) - News, views and recipes from the Big Apple's kitchens. Dorie Greenspan - With more than 20 years food writing experience, multi-cookbook author Dorie Greenspan has gourmet credentials. Her passions are pastry and Paris. Eat Drink Politics - Michele Simon's blog on food and beverage industry politics. Eater - Food news and dining guides from across the country. Eating Asia - From seasoned writer Robyn Eckhardt and photographer David Hagerman, a colorful blog. Egg Beater - Insightful look at the life of a London-based chef. Food (NYT) - Find food and wine news and reviews on restaurants, recipes, cooking, desserts, chefs, fine dining, cuisine, New York restaurants, four-star restaurants and more. Food and Wine - Recipes, menus, chefs, cooking, entertaining, restaurants, experts, wine reviews and recommendations. Food Babe - Vani Hari, investigating what is really in our food. Food Section, The - Read all about food news. Food52 - Tips for eating thoughfully. Gluten Free Girl - Wheat-free wonders and tips for celiacs. Grab Your Fork - Sydney reviews and recipes including a useful restaurant finder. Homesick Texan - A New Yorker recreates the much-missed cuisine of her Southern childhood. Hunter Angler Gardener Cook - Hank Shaw writes about new ways to cook and eat anything that walks, flies, swims, crawls, skitters, jumps - or grows. Joy the Baker - Home-baked goodies from an LA-based twentysomething. KitchenSidecar - Seeking regional cult classics. Kitchn, The - Part of the hugely popular interiors blog Apartment Therapy, this satisfies all manner of kitchen cravings; featuring stylish kitchen tours, recipes and answers to such burning questions as "How to clean a toaster" and "What is the difference between non-stick and cast iron pans?" La Tartine Gourmande - Gorgeous photos, scrumptious food. La Vida Locavore - "Come for the food, stay for the politics." Lucullian Delights: An Italian Experience - Appetising Italian recipes from a Tuscan-based Swede. Lucky Peach - A quarterly journal of food and writing. Each issue focuses on a single theme, and explores that theme through essays, art, photography, and recipes. Matt Bites - When blog photos are taken by a professional photographer, it really shows. New York Eater - Food news and dining guides for New York. New York Times Style Magazine: Food - Everything food. Nordljus - A bilingual food journal, written in both English and Japanese, the primary language of Nordljus is photography, with snapper Keiko capturing delectable images such as truffle honey ice cream with hazelnut dacquoise and Seville orange sponge, as well as sharing recipes and her musings on an English culinary life. Not Eating Out in New York - Records the rare pursuit of home-cooking in the city. NYC Nosh - Reviews of favourite old-school restaurants in New York. Orangette - The ultimate food lovers' blog. Recipes range from the simple to the delectable: tomato sauce, hasselback potatoes, chickpea salad, chocolate granolar. Pioneer Woman Cooks, The - Home-cooking and home-schooling Ree Drummond is a real-life frontier-living cattle rancher. Rambling Spoon - As Asia correspondent for Gourmet magazine, "Food is everything we are," says travelling journalist Karen Coates. Serious Eats - Practically everything you need to know about food can be found on this multi-contributor food website, started by New York Times journalist Ed Levine. Simply Recipes - Superb range of personal recipes. Smitten Kitchen - A combination of writing/photographer skills add up to culinary excellence in this well-established blog, covering recipes cooked in author Deb Perelman's tiny New York kitchen. Snack Food & Wholesale Bakery - Provides production, technology and product news, ideas and solutions for the snack food & bakery industries. So Dehlushious - Chrissy Teigen's "personal random ramblings from a girl who loves bacon and can't be fat." Souvlaki for the Soul - Summery Byzantine bites from Sydney. Steamy Kitchen - Modern Asian cuisine by media savvy blogger. Sticky Rice - Exotic street-food docu-drama in Hanoi. Table Matters - Food, drink, and culture. Tartelette - Stunning photography and styling define this popular dessert blog. Tea and Cookies - Charming stories accompany yummy recipes. Traveler's Lunchbox, The - Great writing served up with recipes. Use Real Butter - Tales from an Asian foodie's life in the Colorado Rockies. Wednesday Chef, The - New York-based Luisa Weiss started this blog as a way of documenting her trawl through clippings of recipes from the New York Times and Los Angeles Times. What's for Lunch, Honey? - Global menu from Germany. Wild Yeast - All about bread. This webpage last updated on Monday, January 21, 2019 12:59 PM.